Cost of S4 engine rebuild? This is very well worded and right on target. So, someone paid to have the intake pulled. Someone decided to "save money" by not replacing a $35 hose - probably because it "looked good." One knock sensor is almost new too. The other? Way, way, old from stem to stern. I'd have to agree with the pro contingent on the valve guides. If the valves are off the head, I don't see why not to pay the $1k to have the guides replaced. Especially the exhaust valve guides. Especially the exhaust valve guides of a 928. (And now half the people are getting mad at me because $1k is too high and other half because it's too low). Apropos nothing, what's up with the 928 S4 valvetrain? The below are just my observations after looking at seven heads, so these are obviously questions and not answers. Sims show some weird dynamics, the valves get tossed and the whole system resonates like a mother... resonator. The exhaust valve guides are worn and loose even on a low-miles fire-damaged engine. The exhaust valve grooves are sometimes so beat up that the valves don't want to come out from the guides, even with all that wear in the guides. The S4 cams have systematic damage, which to an amateur like me looks like the bucket and the valve are not keeping up with the cam. The S4 springs have this thick lower washer piece that is clearly an afterthought. Somebody please explain me what's happened here? The valve guides i would have replaced were i doing it again. Regardless of what I measured when the valves are out, yeah your probably better off just replacing them. As to the other point of rebuilding, I did it on a budget. Did I have $20,000 to spend having Greg rebuild the engine, or $30,000 to turn it into a stroker, NO i did not. I do look at the economics of the car. I bought my first GT for $5,000, so I was on a budget to begin with. Sure you can spend whatever you want on your car, but it didnt make financial sense to me to spend that kind of money to rebuild (or repair if you insist Greg) an engine. Point is that the car performed as I had hoped and in the end was a a great lesson for me and something that in the end was a great joy to go through. Had it been common knowledge that a valve damage engine would REQUIRE a $10,000 rebuild, i wouldnt have bothered. Much as the same that i cant really consider a "market valve" 986 or 996 (i would still love to have one, but at the right price) because those engines do have some issues but they are not repairable as there arent parts for them. The simple answer on those engines is a $10,000 replacement engine for porsche. When $10,000 rebuild is the only option on a car that that costs less than $20,000 i will look elsewhere. Also look at the the numbers here, the last S4 I sold, which was by no means perfect but which was certainly above average I sold for $10,000. I have an S4 now that i couldnt sell to anyone on this board for $4,000. Sometimes the numbers dont make sense, and I do look at the numbers because i dont like to loose money on cars. I did that with BMW's but I learned that lesson and will try my best not to get into those situations. There is nothing wrong with fixing something, or repairing something to a budget, that seems to be something thats coming up here now honestly. I think you must set limits on projects like this otherwise your one of those guys that are here that have $50,000 into a car that is only worth $20,000. If i had that kinda money to spend on a car, I would just take the car in my Avatar and JUST DRIVE, not worry about fixing things, or working on constantly evolving projects. I have learned that i do really enjoy the work though, so long as it doesnt become so much so that it overwhelms you, which can happen when you have too many cars, as i feel i do now. I also dont think that because you paid more for the same parts then i did that yours is going to be better. If you try to convince yourself of that then thats just silly. 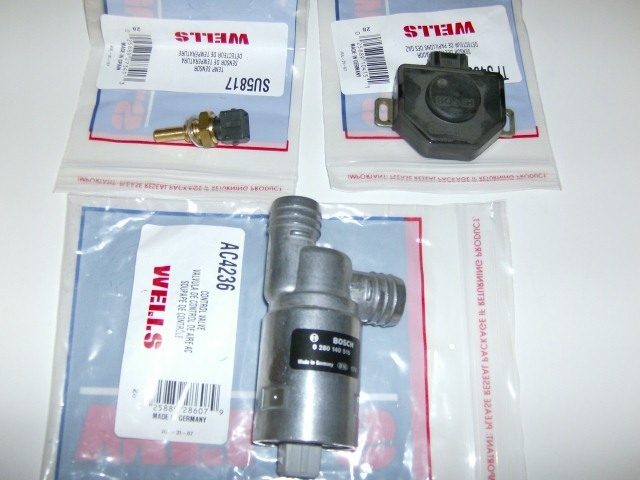 I did call Greg way back when to get a price on a valve job with new exhaust guides and it was very reasonable, actually less then i had thought going in. The only problem was that I was at the time getting ready to move from LA to Austin and he needed a few months turn around and that didnt work for my schedule. In hindsight i didnt actually get to installing that engine in the car until at least 6 months later so It would have been the way to go. I didnt do that but I also dont loose sleep at night because i didnt. Its just something to learn, its a notch on the experience belt and is one of those things you think of when the next rebuild comes around. For those of you that don't know it, Ryan is one of the good guys. Sometimes he has opinions that are hard to relate to, but sometimes I do, too! And the rest of you...aren't perfect, either! I've helped him in the past, and I'll help him again, if needed. He's not out there "hacking" things back together and "stealing people's money." I respect what he is doing with these cars. Sure, he could be on the long list of others that are buying them and cutting them up, just to make a few dollars, but he chooses, instead, to buy cars and fix them up. I'm sure that this is part hobby and part making a few dollars....but I'm also certain that he could probably make more money cutting lawns on the weekend....so it is probably mostly hobby. While not new, I'd guess that these cars are excellent cars to buy and own...well above the "average" used 928 that is for sale. I've taken a bunch of these engines apart and put them back together. I replace pieces that look pretty good...because these pieces are "excepted" as replacement pieces in a rebuild...and they aren't going to last for another 80,000 miles. Are these pieces junk? Nope. I've got a couple of sets of main bearings sitting around that could be used in a minute, if Porsche suddenly no longer had main bearings! I've got a box of cam gears that either are just showing aluminum or you can almost "imagine" are showing aluminum. If Porsche suddenly quit selling new cam gears, some of these could be used, without thought. Hell, I've even got hoses that go under the intake that look and feel almost new. If Porsche runs out, I've got good ones to use! I understand what Ryan did/does. He shopped around and found good deals on good pieces. He didn't waste money, but he also wasn't straightening bent valves in his drill press with a hammer! he also wasn't straightening bent valves in his drill press with a hammer! I want to see someone try this!!! I think it would be a hoot to watch! There are certain things that I dont skimp on either and FOE gears are one of those things. 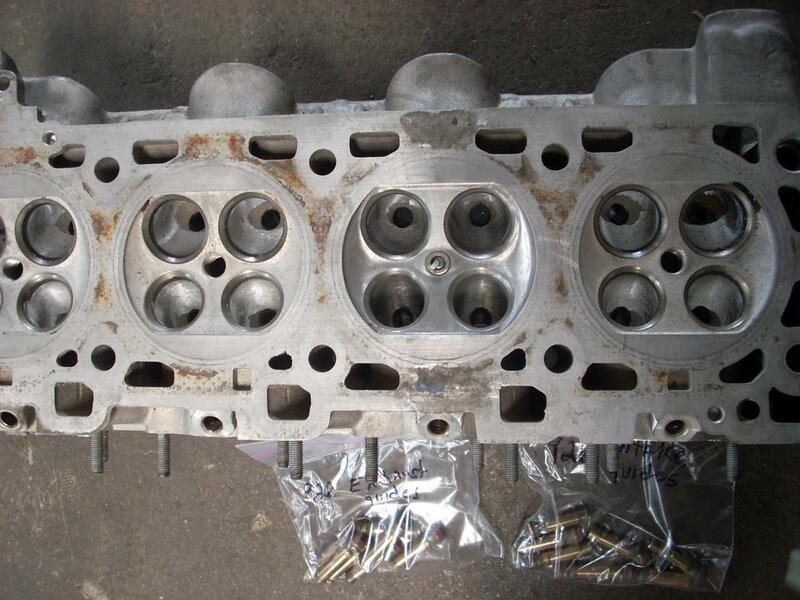 I am guilty of not knowing enough about head repair to do it my self, I just take them to my machine shop guy and say give me a estimate after they have been cleaned, torn down and inspected. The OP asked what it cost to rebuild a motor, I gave him what I thought was a fairly honest answer, he did not ask how much it cost to repair damage from a t-belt failure. On my own cars, not ones for customers, I am very guilty of putting way to much in them. Honestly I still need to put more into mine than it will ever be worth. IE wheels, tires, a bunch of Pauls work and a blower. On my cars it is a hobby for me and not a cost/loss issue. Heck it was running when I took it apart. On a car that you own and are trying to repair for resale, now that is a whole different game. I still do work for used car lots, they want it as cheap as they can get it. That work is done and billed out as American and Import Auto Repair, not Greg's Garage. It is different when it is your name and reputation on the line and you do this to put food on the table. I agree with that, nothing wrong at all of repairing on a budget on your own cars. I knew going in on my C4 and my S4 that I would have over X $ in the cars. In hind sight, I would have done exactly what I did with the C4, because I like the body style. Not sure I can say the same about the S4 though, I may have been better off to start with a GTS or maybe a GT, but I am one of these folks that just can not leave good enough alone. I knew that I would find just about as many problems with a 50,000 mile 15 year old car as I would with a 100,000 mile 20 year old car. So Ryan, I mean no disrespect at all to you, I just think we are looking at things from a different perspective. IF they are the same parts I agree, but many times they are just parts from the same manufacture, and they are not the same. I am not trying to poke at you Ryan, but did the TPS and other Bosch parts you got from Autozone have the same part number on it as the factory part? If not then how can you know they are the same? If so then I stand corrected and will start buying them from Autozone, it will save my customers money and I will have no problem using them. I went through a deal a few years ago with Girling rotors for some Volvos, I was told, and I really thought they were the same, they looked the same, but they were absolutely not the same. My better half is very hard on brakes, I was putting a set of rotors and pads on her Volvo about every three months using what I thought were the same parts. I tried using Volvo factory pads with the Girling rotors and not much changed. It was only when I started putting Volvo rotors on it, with Volvo pads did I start getting good service out of them. Since your so interested in my ISV, here have a look for yourself. You tell me what the OEM Bosch ISV PN is and compare it to mine in the pic. Or tell me what the OE Porsche one is and let me know if you can see a difference. I dont know how to link the actual thread, so if someone would like to do that, then have at it. But if you want to search, its an August 4th 2008 thread and you can find it under the topic line "Ive finally joined the rock steady idle club"
I cant make out the numbers on the isv, i dont care enough to look really. Another note, the discoloration seen on the case of the TPS is actually dust... go figure. NOTE: the parts came out of an autozone store in Round Rock TX which is just north of Austin, so if Autozone has different warehouses they distribute from then your mileage may vary on this one, but i doubt it. Last edited by RyanPerrella; 07-13-2009 at 02:22 AM. Bosch is Bosch...no matter who's hands it came through. If the part numbers are correct, they are the same part. Neither Greg or I would call and check with Autozone to see if they had parts for these cars, like these. We'd just assume that we'd get some Chinese piece designed for a Ford that was "close" to correct. Amazing they had these pieces! Nice find! This is why i posted it, cause i NEVER EVER thought i would buy anything for the 928 at autozone except for OIL, i wouldnt even buy their filters there. The thing that was most interesting to me at the time was THE BAG THAT THEY CAME IN! back to the original ??? "how much does it cost to rebuild a 928 engine"
Repair costs and results vary, a LOT. This thread tries to compare shop costs with DIY and I don't see the point. In the practical world of keeping old 928's on the road, both are essential, but the results are too different. Retail and wholesale parts costs vary, a LOT. Retail is a totally price driven commodity market, and wholesale is a complicated service industry with free same day delivery, painless returns, knowledgeable parts guys, and the price passed on to the consumer with a fixed markup as profit for the shop. Retail prices are often MUCH cheaper, but on terms unacceptable to shops, essentially the opposite of wholesale supplier's. There are some amazing people on this list, but I've watched Greg rebuilding a motor, and I suspect the number that do work of the same quality is very small. Not just professional, but the sort of perfection you only get after doing a large number of the same type motor and working out the best materials and methods for each step. No offense intended, but does anybody think a DIY rebuild adds resale value to a 928? Maybe about half the parts cost is my guess. Mine is no where near this but I like the car well enough that when it does become time I may. Min is a 1989 with about 135000 miles on the motor. No problems now as far as oil consumption or TB failure....just for future reference. If all major componants ( block, crank, cams ) are good what does it cost to freshen up a S4? I can do all assembly myself. Any machine work will need to be done by a professional. By professional I mean someone who knows what their doing and not just charges you for it. 1. Refresh your engine with no problems being found, doing your own work, just replacing things as needed and lots of cleaning, budget about $5000.00 and up. 2. Refresh your engine and having things machined, replacing some damaged/used up components and other things WYIT some with nothing to do with the engine, such as transmission service, TT rebuild, motor mounts, steering rack, A/C, fuel injectors, new radiator, etc., budget about $10,000 and up depending what you have done. 3. Rebuilding your engine to as new standards using Porsche parts doing your own assembly, budget about $10,000 and up. Double that figure if you do other things WYIT as in #2. 4. Rebuilding your engine as a stroker, "because since I'm doing this anyway might as well increase my HP/TQ a little more," budget about $15,000 and up. You can see that there is really no way to figure out a strict budget because of all the variables. I have talked to many people who start this project and spend at least double what they intended. Gotchas include the engine not running right after the rebuild and having to go in again. Just because you put the engine together does not mean it will work. Even if you had a pro mechanic do it, present company excluded of course. I'm sure Greg B. has some great stories of re-doing "rebuilt" engines from other mechanics. Do not listen to those who say it can be done for a few thousand dollars by yourself. Unless you have built up Porsche engines, and specifically 928 engines, there will be a learning curve and some how you will pay for the privilege of learning it. So you don't know if they are the same part number or not. I would have thought you would have checked to see if they were the same. I suspect that the only way you are going to get a Greg Brown quality motor is to have Greg Brown build it. Just an FYI there is a great machine shop here in OC that is very cost effective. I first found out about them through Porsche Motorsports and since then they have bored many blocks and done plenty of heads for me. Quick Reply: Cost of S4 engine rebuild?